Whether you are a complete beginner or looking for refresher or motorway lessons, Robert Burns Driving tuition provides quality driving lessons in Stockport and surrounding areas of South Manchester such as Levenshulme, Longsight, Burnage, Withington and Gorton. With many years of driving tuition in the Stockport and South Manchester, why not join the hundreds of people who have passed with Robert Burns Driving Tuition. Driving instructors are accessed and graded either A, B or F (fail) by the Driver and Vehicle Standards Agency (DVSA). Robert Burns Driving Tuition continually receives the highest grade and has once again achieved the top grade in the most recent standards check. This is defined as driving instruction of a very high standard. Therefore, if you choose lessons with Robert Burns, you know you will be getting taught by one of the highest graded driving instructors Stockport. Robert Burns is an independent and fully qualified DVSA/ ADI Driving Instructor operating throughout Stockport and South Manchester. As an independent Driving Instructor you will benefit from significant cost savings due to the fact that I am not having to pay a franchise fee to a driving school which means my prices are far more competitive than the larger driving schools, who often use trainee driving instructors, but they don’t tell you that. Whether you are a confident or a nervous pupil, it doesn’t matter. Each lesson you have will be enjoyable and relaxed, but also at the same time thorough and professional to ensure a first time pass. I cover most areas of Stockport and surrounding areas in Manchester such as Gorton, Levenshulme, Burnage, Longsight, Withington, Fallowfield, Cheadle, Woodley, Edgeley, Tameside, and Didsbury etc. Driving lessons are carried out in a dual controlled, air conditioned, Citroen C3 ( 2018 model ). The exhaust emissions are very low on this car, so as well as learning to drive you will not be damaging the environment. I teach each pupil as an individual, so you will be put in for your test when you are ready and not after a set amount of driving lessons. As I’m not part of a franchise, you can be sure of having the same driving instructor for each driving lesson. 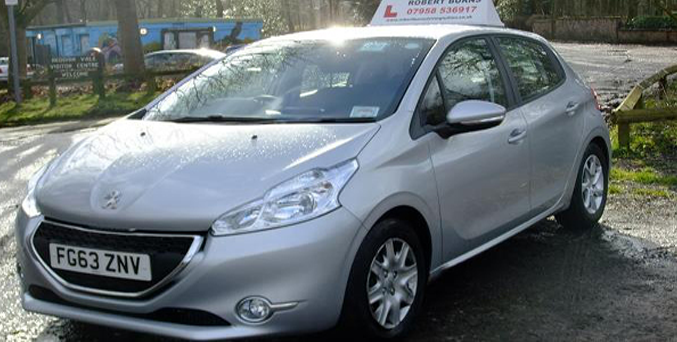 This helps to build confidence and provide a greater degree of consistency within the driving lessons. Having the same driving instructor will also mean that each of your driving lessons will be tailored to suit the needs of the individual.. Lessons can begin and end at home, work or college as part of the service. Just let me know and I will do my very best to accommodate. Not only will the instructor be the same every lesson but so will the car. This way, you will get used to the car and become familiar with the controls, helping you to become more confident for when it is time to take your test. We provide coverage in the following areas: Bredbury, Brinnington, Woodley, Romiley, Heaton Chapel, Offerton, Heaton Moor, Heaton Norris, Reddish, Cheadle Heath, Heaton Mersey. If your looking for an experienced, Knowledgable, friendly, proffesional Driving intsructor Look no further. Rob is an excellent teacher. I started driving in april I passed my test today 19/06/2012. Thanks to rob he gave me the guidance and and knowledge for me to be able to pass my test confidently! Rob is a 5 star driving instructor!! I would and will be passing his phone number on to friends and family! Thanks Rob!! Check out the reviews on Google left for Robert by happy learner drivers! Highest rated driving instructor in Stockport. Robert Burns Driver Tuition is rated 5 / 5 based on 91 pupil reviews on Google.